WOW! Have you seen the list? The occasions catalog has two pages of products and the annual catalog list has nine pages worth of products that are retiring. The first thing I want to point out on both lists are theretiring bundles. Yes, all bundles are retiring but not all are leaving for good. Whenever you purchase a bundle, Stampin’ Up! offers a 10% discount. However, with each new catalog, past bundles do not carry over. So, if there is a bundle you have had your eye on, now is the time to purchase it. As I look over the list and mark up my catalog of items retiring, a deep sigh leaves my body. It’s to be expected to be a little disappointed that some favorites don’t make the cut. However, on the bright side, eliminating some of the past stampsets only means one thing --new stamps to fall in love with. As you are aware, the In Colors from 2016-2018 are also retiring and any item that includes one of those colors retires as well. And, Stampin’ Up! recently announced a color revamp. What does this mean? Grab the colors you love now. Remember it is while supplies last. In addition to the many colors retiring, there are pages of accessories leaving as well. Stock up on your favorites and get excited for what is coming! There is a lot on the list. All Designer Series Paper will retire as well as coordinating card stock packs. If you like 12×12 card stock that is in the current catalog, stock up on them as well. With the release of the new annual catalog, 12 x 12 card stock will be sold by color families only. Don’t delay in looking at the last chance products and contact your demonstrator with your order today! I really love the Petal Palette Bundle. I have always loved the look of the stamped image being cut out and used with dimensionals, but I don’t like to do fussy cutting. I don’t have time for it, especially when I have to do a lot of the same card. With this bundle, you have several greetings, a couple of background stamps and then some stamps that you can cut out with the thinlits. There are other dies to use for your design, too. The sample image that are in the online store are gorgeous. The images look good whether you want to use the watercolor effect or use the Stampin’ Blends or regular markers. I have already made several different cards with this stamp set and thinlits. This beautiful bundle will be available as a bundle until the end of May. In the new catalog, you have to purchase the set and framelits separately and no longer getting the 10% discount. 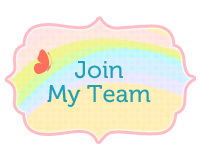 So, click on "Shop Now" and go to my Stampin'Up on line store and purchase your bundle now and save yourself some money. Do you get the most out of your embossing folders? Embossing/De Bossing this is the simplest you start by placing you paper inside the folder and sandwiching and running it through your big shot. Depending on the look you are going for one side is your embossed and the reverse is de bossed side. The side with the logo is the embossed or raised look and no logo of course would be the debossed side. The next one I found that had a cool effect was using ink and the folder like a letter press. You start by deciding which side of the folder that you want to use either the raised side or the impressed side. Once you have chosen your side apply ink to the folder either by direct from the ink pad, using a sponge or, a brayer, then carefully placing your cardstock in to the folder trying not to smudge the ink, and run it through the big shot. Wait a few seconds after running it through to open and remove your cardstock. This is adds a cool effect to your backgrounds. A variation of this you can take your stamps and stamp on the inside of the folder and then place your cardstock inside and run it through your big shot. Another variation using versa mark ink you can double emboss. Take your versa mark ink pad apply it to the inside of the folder place your cardstock carefully inside and run it through the big shot, once its has gone through open the folder and place embossing powder over the area and heat set. This gives a shinny and a raised look at the same time. Partial embossing, this is where you can use a hole-punch, or a die cut piece of cardstock over the outside of your folder, then place your cardstock to be embossed inside the folder and then run it through the big shot. This leaves a void in your embossed paper where the cardstock was on the outside of the folder. All of these techniques for using embossing folders are fun to use and gives a special "Zing" to your work. Give them a try. Stampin'Up has a wide variety of embossing folders and different types. They are a must have in the stamping world needed to enhance your card making. 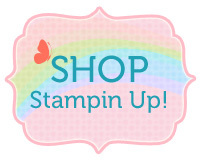 Click on "Shop Now" and go to my on-line Stampin'Up store and check them out. You can order yours while you are in the store and start creating beautiful background for your card making. Stamparatus is On Its Way! In the new 2018-2019 Stampin'Up catalog and idea book, the wonderful new Stamparatus will be able to be ordered. This is a wonderful tool and has so many advantages. It makes stamping multiple images for Christmas cards and other cards where you need several a piece of cake. Have an image where it did not stamp evenly, problem taken care of using the Stamparatus. What perfect placement on your card, so easy with this wonderful too. Yes, it is a "Gotta have it tool,"
It’s big news when something breaks the mold and changes everything. The Stamparatus will change the way you stamp, and before long, you’ll wonder how you crafted without it! If you didn’t get the chance to order when with the two pre-order windows, you will still be able to get one when the new Stampin’ Up! Catalog goes live on June 1. Why do you need a Stamparatus? This great tool helps anyone get crisp, clean stamped images; plus, you can make multiple projects in minutes—with an accuracy and consistency that makes stamping easier than ever before. Something thing I that I love about the Stamparatus is that you can get precise placement for stamps that are being stamped onto small pieces. I would have loved having this tool when I did my Christmas cards as I was stamping a large greeting that was pretty tight on an oval. It is also fantastic for when you are doing two-step and three-step stamping. I still have more learning to do, since I didn’t use both plates to do my three different stampings for this card. I’m sure I will do that the next time that I use the Stamparatus. But I love how easy it is to line the images up before inking them up. Product details!  Compatible with Stampin’ Up!’s red rubber and photopolymer stamp  Foam mat to use with photopolymer stamps  Rulers and gridlines for quick measuring  2 open sides so you can stamp on larger paper  2 reversible plates: a total of 4 surfaces to work with  2 magnets to hold the paper in place  Magnet storage areas  Retail Price–$49.00 USD/$65.00 CAD  Stampin’ Up! will not replace broken magnets. Here in our Stampin'up family we will be loosing some of our favorite old colors but there are many more new ones coming, beyond the new In-Colors for 2018-2020. This colors blend and go great with the colors remaining in the four color families. Some are actually returning In-Colors from pass years. I am so excited to get these to enhance my card making. That is 16 new inks, markers, and cardstock to play with plus the five new In-Colors. Wow, 21 new colors! I am excited and hope that you will be also. These will make their debut in the new 2018-2019 catalog which will be active on June 1. This is Stampin'Up's 30th. Anniversary this year. 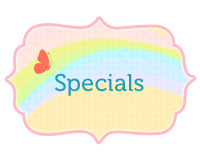 We will be seeing many new items to enhance or card-making and scrap-booking adventures. Stay tuned! Many of us hate to tie bows. There are four types of bows that are great to add to our cards. The classic knot. This type of bow is very simple. You take a piece of ribbon around five-six inches long. Hold each end and then wrap the left end over the right end, pull through. Pull gently to avoid twisting or wrinkling. This is the most simple bow to make. The classic bow. Fold the ribbon back and forth to form 2 loops (bunny ears). Tie the two bunny ears together, left over right. Pull gently. Trim the ends. Tiered Bow. Choose two to three ribbons of different widths and types of ribbon. Cut the widest ribbon the longest. This is to be cut the size you want the bow to be. Cut the next size around a half inch shorter on both ends and lay on top of the widest bow. Trim the ends as desired. Layer this on top of the widest bow. Tie the stacked ribbons with another piece of ribbon in the center of the two long pieces. Conceal the tie behind the bow and trim so it will not be seen. Tailored Bow. This can be done with paper strips or ribbon. Cut the ribbon twice as long as you want the length of the bow to be. Form a loop and secure the two ends together in the center. Wrap another piece of ribbon around the center and adhere the ribbon on the back in the center of the bow. I have enclosed a document showing you the bows and how they are made. These are easy bows to make to add to your card. Give them a try. Most can be made with scraps you have laying around your work area. Don't know which Punch to Use? Do you have a problem deciding what punch will fit a certain phrase or if what shape will fit where you want it? I have wasted minutes trying to decide which shape will fit the verse I want to use. You can solve this problem with a business card wheel. You can find these at different business supply places. The purpose is to keep important business cards organized and easy to find. Why not use this to keep negatives of you punch shapes. The holder has plastic sleeves to slide business cards in. Cut your cardstock the size of a business card. Punch your shape out. Use the negative to slide in the sleeve. When needed, you can lay the negative over the verse to see if it will fit, or the shape at different places on the card to see where it would fit best. If you do not want to purchase a business card wheel, you can always use a key chain holder, cut cardstock pages and punch the shape out. Then punch a whole at the top of the card and place it on the key ring. Always mark the name of the punch on the card. The problem with this is, the cards can get dirty and the edges bent. With the business card wheel, the punched cards are protected. Stampin'Up has a wide variety of great punches to use with your verses and this card wheel will save you time on finding the best one to use. You can view and purchases this great punches by checking out the catalog. The punches are located near the back of the book. View these by clicking on the catalog button or at my online store at Shop Here. Beats Me, What is the difference between a Framelit and a Thinlit? So often my customers and students ask me, so what is the difference between a Framelit and a Thinlit? Framelits has an open center so you can place them anyplace you want on a stamped image. You can use two of the same shape in different sizes to make a frame. The magnetic plate is wonderful when working with these since it will hold the Framelit in one place. These are very useful and come in a wide variety of shapes. They are grouped so each is a smaller or larger size that the one next to it. Thinlits are detailed dies. These have very detailed patterns and usually need to be run through the Bog Shot several times. Often, they are word dies where the letters connect with each other. It is best to use the Precision Plate with this type of die. This gives a more precise cut. The very detailed dies can often hard to remove the sections that are to be open. The Precision Plate gives a sharper cut and helps avoid picking out those unwanted pieces. Some thinlits such as those for boxes and other 3-D shapes do not need the Precision Plate. This type of thinlit or framelits may warp if used with the Precision Plate because they are made of a much thinner metal. Use the Precision Plate only with the heavier, detailed dies. In some of our Stampin’Up dies, there may be both Thinlits and Framelits in the package so it is important that you know the difference. You can usually tell by the thickness of the metal. Both are wonderful and have many uses. A Big Shot and these dies can take your creativity a step higher. Looking forward to receiving from you. Add some "Zing" to your cards! What lady doesn’t like a little accessorizing? Pearls, ribbons, and rhinestone add a little zing to not only your outfit, but they are a necessity in the card making and crafting world. As a card maker, I could not do without many colors of ribbons to dress up my card. Color can be added to your pearls and rhinestones with a Stampin’Blends or alcohol marker. These items can change your card from a plain, simple card to a “WOW” card. Not only do they dress up your card, but they are great for covering little “bobos”. In many cases, a rhinestone, pearl, or ribbon can cover up those last-minute mistakes. When you accidently get a smudge of ink on your finished work, look at it carefully and see if you can cover that up with a little “Zing”. In most cases, you can cover up that mistake using one of these fantastic products. Check out the Stampin’Up Creativity Your Way Idea Book and Catalog. 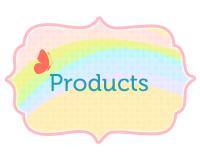 You can go to www.stampersjoy.stampinup.net and view the wonderful line of accessories to step up your craft projects. Better yet, contact me about receiving your own copy.